The Methow Valley Rodeo is produced by the Methow Valley Horsemen, a group of men and women from the Methow Valley who are committed to continuing the tradition of small community rodeo. We produce two rodeos each year, on Memorial Day weekend and Labor Day weekend. 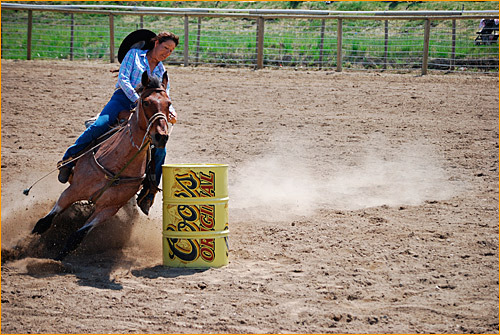 Hours: The Rodeo starts at 1:00 P.M.
Contestants must pay admission at the gate upon entering the rodeo grounds. Your admission will be refunded when you pay your entry fee. There will be a food concession at the Rodeo. photographs on this website. She can be reached at (509)449-2351.